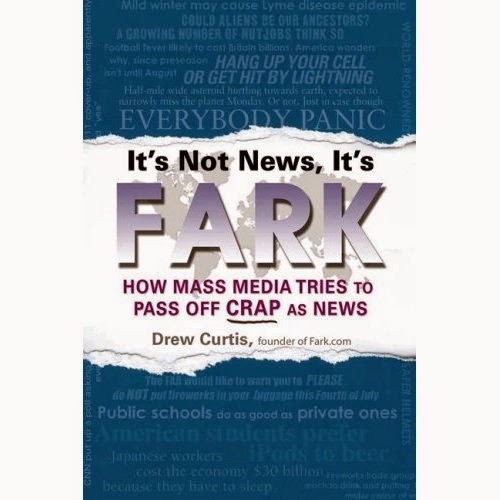 Drew Curtis, the founder of fark.com has a book out that truthfully exposes why the media reports on stories that continually make us question why it is news. The over reporting of the 9/11 truthers, the DPRK using racist language about Obama, the continual end of the world reports, and the celebrity quotes that stir controversy. It's not news, it's FARK, exposes the media refusing to report real news because the media has become too profit driven. Reporting in 1979 for example that big oil killing the electric car would have meant certain death to the newspapers and TV networks because a huge chunk of the advertising revenue came from big oil. Even on PBS, Mobil - Exxon sponsored such series as Masterpiece Theatre, NOVA, and Wild Discovery. BP still sponsors many musical programs on A&E. That advertising revenue is what keeps the media running. Also Curtis informs of the fact that the media is politically driven today. MSNBC unapologetically touts itself as the far left media analysis network. RTE has become by its own admission the source for alternative news which caters to the "fringe". Fox News has finally admitted to being a "right of center alternative to the progressive American media". This means the news is filtered so that it will not upset the viewing base and also slants to make the "other guys" look bad. Some news reported really is crap. Things like a man who loses his lottery ticket that could have been a winner. Pushing obvious agendas and items that slight the integrity of people who have no public image and are out of the scope of publicity. News that serves to stir controversy to create publicity. Infomercial articles inserted in newspapers and magazines that are not labeled as being advertising. These are the worst crap Curtis riles against. Curtis finishes by suggesting we stop paying too much attention to the mainstream media. Too much political motivation, fluff, entertainment, and division drive the media today, and besides the media no longer informs. Curtis says blogs are the perfect alternative. If you want a review for a car then go to the blogs operated by Consumer Reports. Electronics shoppers can go to Wired and diners can utilize Urban Spoon. 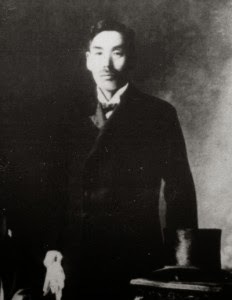 Real news can be found on independent blogs that cover news for the region you are interested in (our suggestion - like the Japan Times Herald). Where there is no worry about money driving the review or news. While the book is informative, there are times that repetition becomes annoying. There were instances I found myself thinking, "I know, I know, money is the reason." Curtis does give a very welcomed view and a breath of reality as to what the media's goal is. It's not news, it's FARK, is very much worth reading. A must read for bloggers as there is vital advice for bloggers.